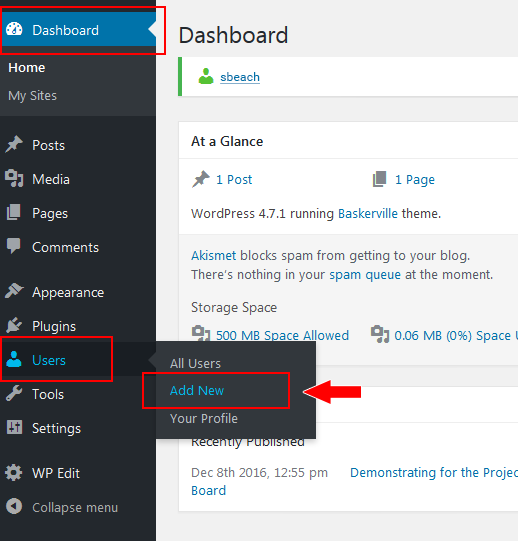 From you Dashboard, hover over Users, then select Add New. Type in an existing Royal Roads email. 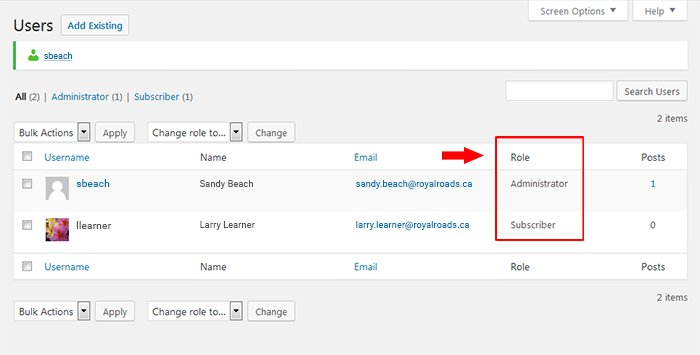 Select a role from the drop down menu. Click the Add Existing User button to save. An email invitation message will show at the top of your screen. The new user will need to click on the confirmation link in the email be added to your site. 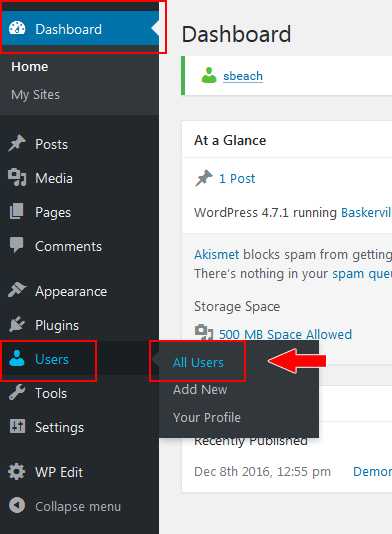 and you will be able to see all the users on your site and each person's role.